"Przydałaby się większa liczba łazienek." 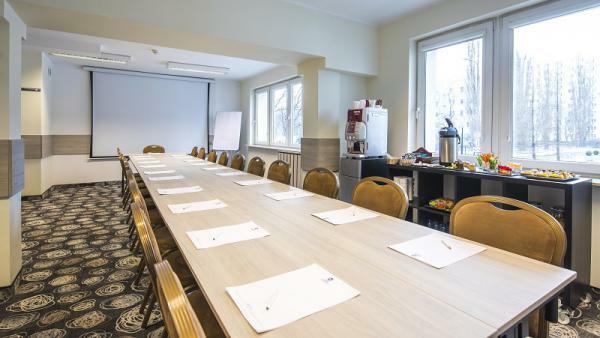 ~Slawek K.
Start Hotel Portos is located at Warsaw’s Royal Route and offers rooms with free Wi-Fi, an air-conditioned restaurant and conference facilities. 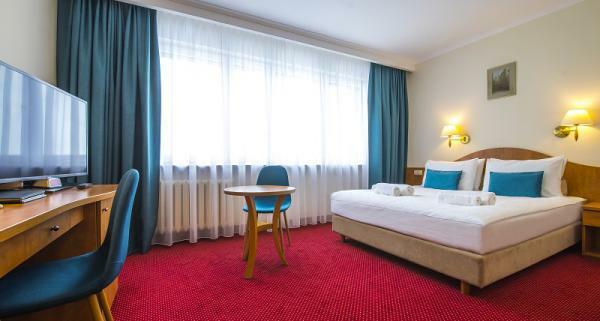 The 3-star Start Hotel Portos is located at Warsaw’s Royal Route, between Belweder Palace and Wilanów Palace. Guests can get to Warsaw’s Old Town in just a few minutes by bus. Sadyba Best Mall shopping centre is about 1 km from the hotel. 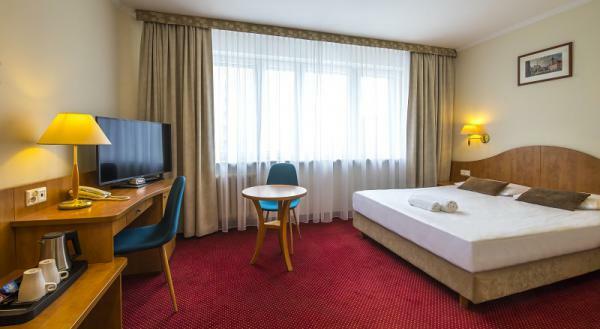 Hotel Best Western Portos offers 225 rooms. 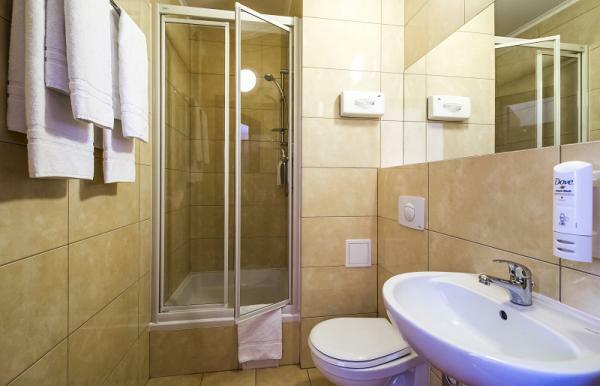 All rooms are equipped with bathroom, telephone and LCD TV. Wi-Fi access is free in all rooms. Additionally each room is fitted with tea/coffee maker. 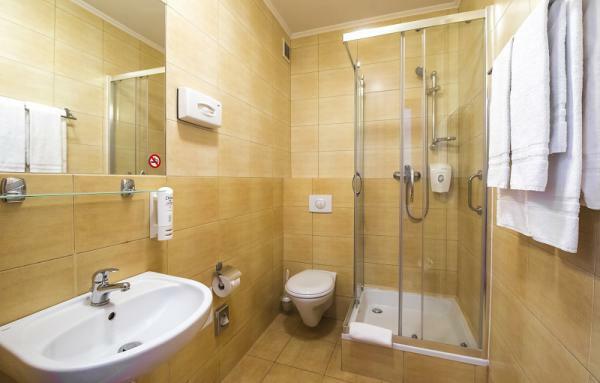 Rooms for the disabled are also available. The hotel offers guarded car park for over 100 cars and 10 coaches (PLN 30 per car, PLN 80 per coach). Taxis can be ordered via the hotel front desk. The hotel accepts payments by credit card. The modern, air-conditioned hotel restaurant can host 100 guests, and its interiors are designed in a Parisian style. Guests can enjoy excellent Polish and international dishes here. The restaurant features a drink bar, which is open until 24:00 and offers a wide range of drinks. Buffet breakfast is served from 6:30 until 10:30. 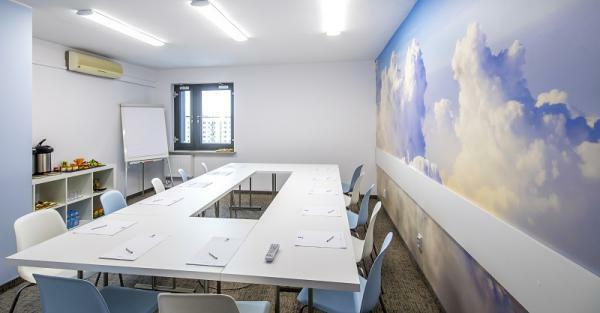 The hotel has 2 modern conference rooms, equipped with multimedia facilities, a flipchart and Wi-Fi connection. 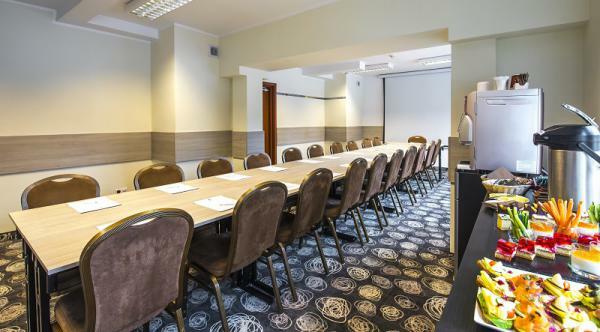 The rooms can host up to 40 delegates each. 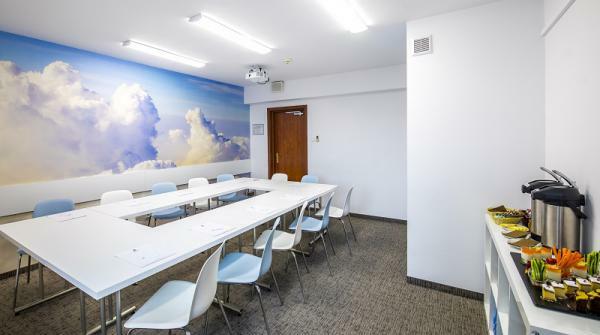 For more private meetings, 2 VIP rooms are available, perfect for job interviews and negotiations.